It was early one Sunday morning and I had just met up with a close friend and her cheese obsessed husband and two kids for breakfast at Sideways Cafe in Dulwich Hill. As we were catching up, they asked me about the blog and what I was up to at the moment. I told them I was reviewing a new parmesan cheese I hadn't tried before and before I could finish Mr. exclaimed " have you tried the new Mil Lel Parmesan cheese yet!?!? it's SO good!" Mrs agreed, also commenting on how good it was. I laughed, "funny you mention it because Mil Lel is the one I am reviewing". Isn't it funny how random coincidences like this seem to crop up in our lives? 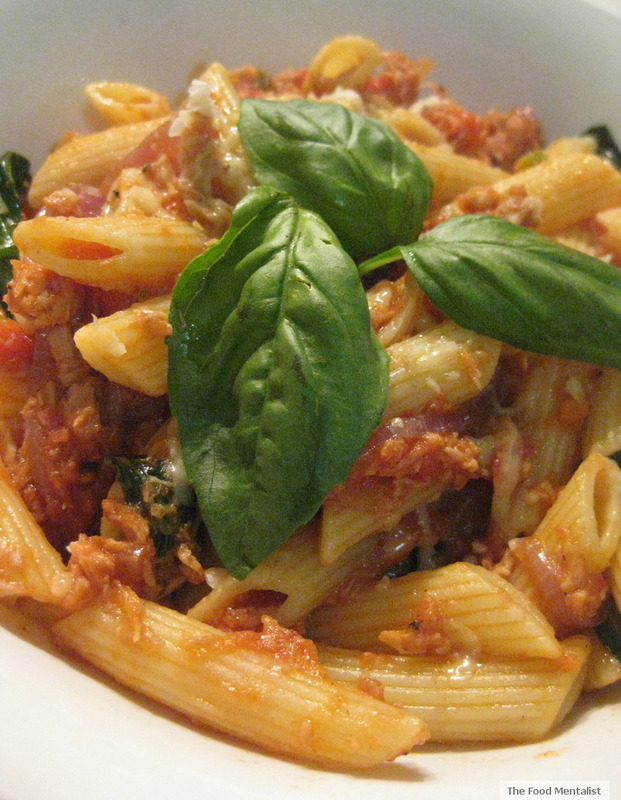 I believe that parmesan is one of those cheeses you just have to have in the fridge. We are rarely without it. It is just so versatile - we use it in pasta dishes, baked recipes, sprinkled over bresaola with olive oil and lemon, on a burger or on rye crackers with slices of vine ripened tomatoes, cracked pepper and basil. I'll often munch on a small wedge on it's own too. Enter Mil Lel Parmesan - After endless taste tests, I believe it to be a great parmesan. 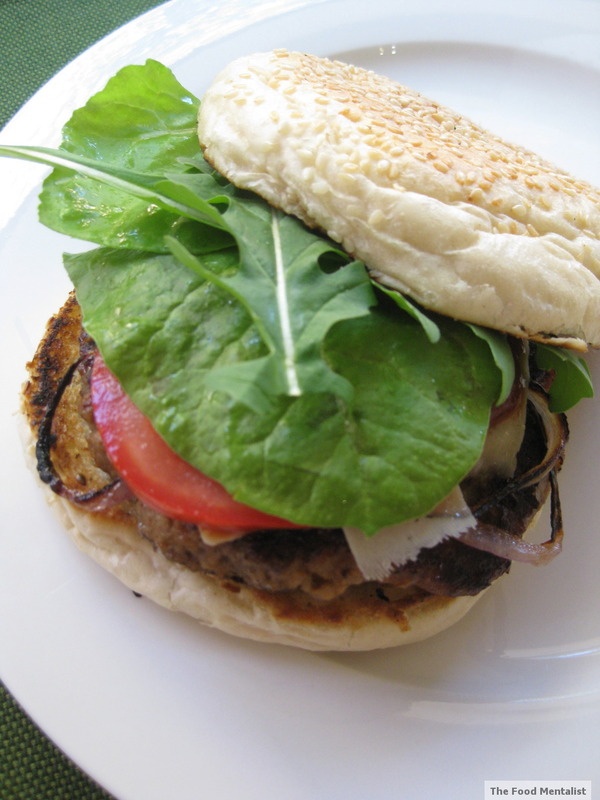 It has a nice texture and excellent flavour. What's even better is that it is made in Australia. Mil Lel ambassador Italian chef Guy Grossi is one guy who definitely knows his parmesan cheese. Check out his tips on how to pick a good quality Australian parmesan. 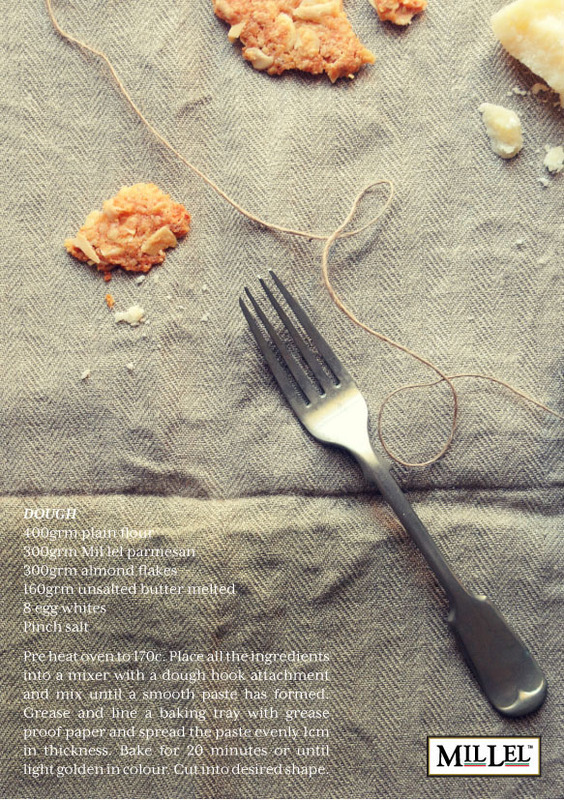 A good parmesan has a golden rind ( as seen in Mil Lil's block parmesan). The interior should have a yellowish white straw colour. (This can also be seen in Mil Lel's parmesan which gets it's colouring due to the use of South West Victorian local milk). 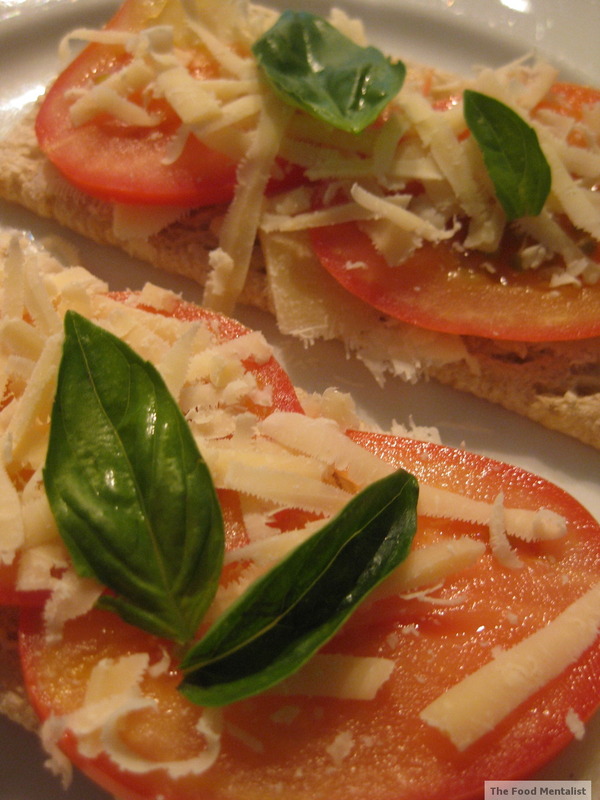 Parmesan cheese should be piquant and slightly salty in taste. Due to it's authentic Italian-style process, Mil Lel parmesan is crumbly in texture when broken apart. 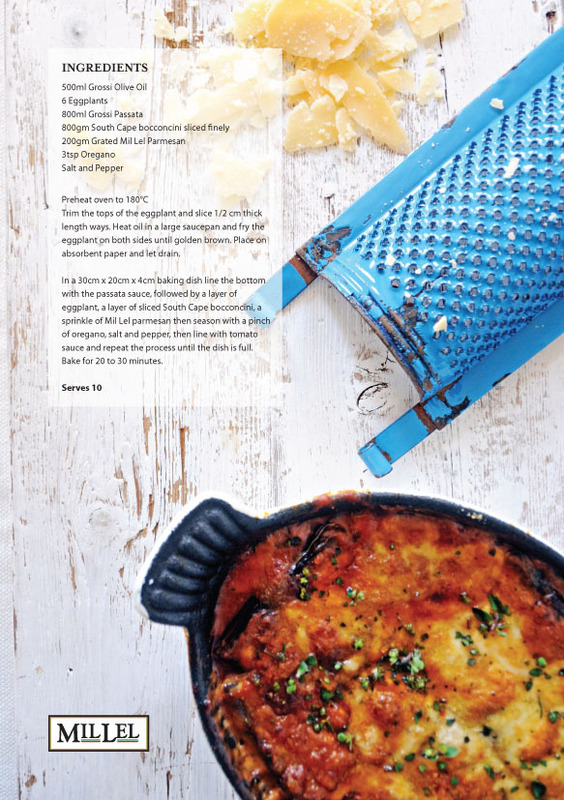 “Parmesan is recognised by its yellow rind and Mil Lel has all the qualities I look for in good parmesan. These are characteristics I’ve seen in the best from around the world,” Guy Grossi. 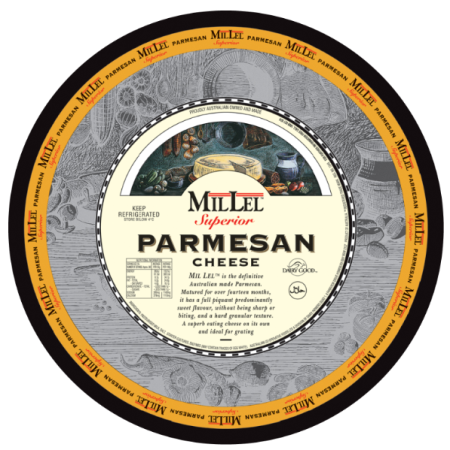 There are 2 types of Mil Lel parmesan - Mil Lel parmesan which is aged for 12 months and is available in all supermarkets nationally and Mil Lel Superior Parmesan which is aged for over 18 months, available cut straight from the wheel in selected deli's. I hope you enjoy this parmesan and to get you started I have included two of my favourite recipes Italian chef Guy Grossi has put together specifically for Mil Lel Parmesan. 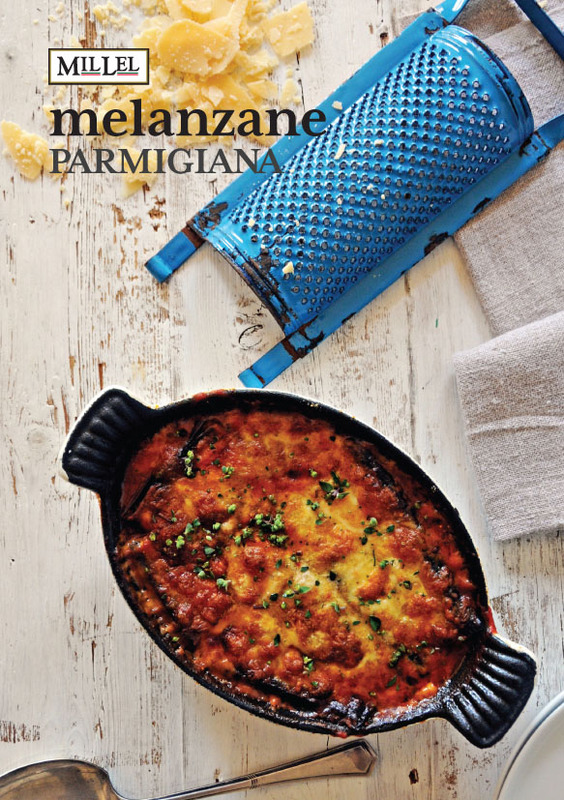 The first one is for Melanzane Parmigiana using eggplant - my absolute favourite vegetable/fruit. Some of you may remember a previous post when I declared myself the official eggplant queen - I love it that much! 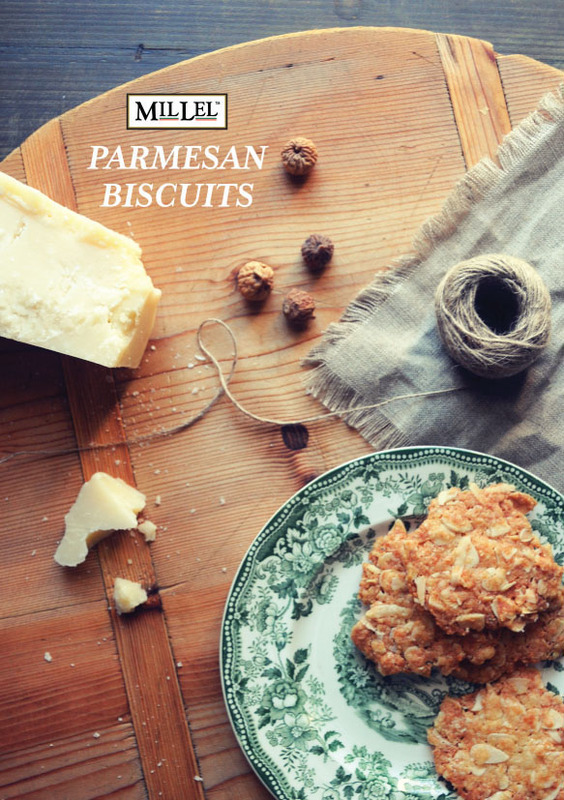 The second recipe is for some delicious crunchy Mil Lel parmesan biscuits. 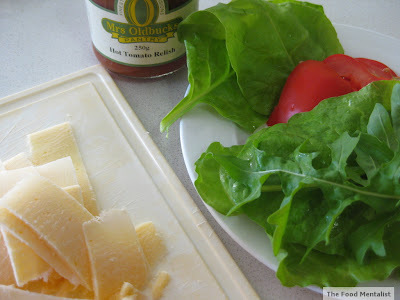 Have you tried Mil Lel's Parmesan yet? What did you think? Hi Erin, I love parmesan and often add some to our pasta, pizza and have even made crisps to go with a cauliflower soup! MilLel is the brand I ususally buy because of their consistent quality. Love the new recipes. PS and the new look of your blog! 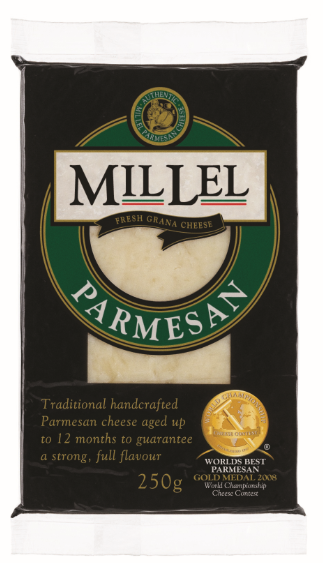 I purchased Millel Parmesan cheese - "fresh shredded cheese". Whilst technically the rind is part of the cheese I did not expect a packet of grated rind when I purchased the product. I suppose I should have been forwarned by the price which was less per kg than parmesan blocks. steer clear of the pre sherred cheese.